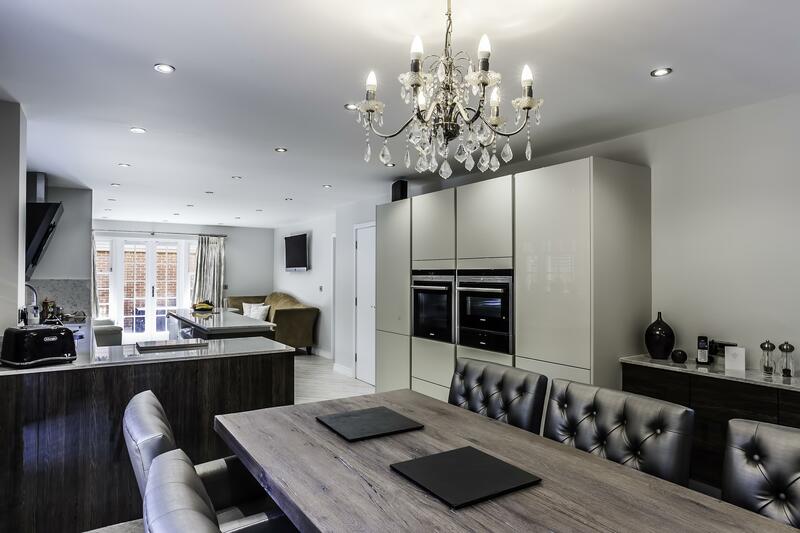 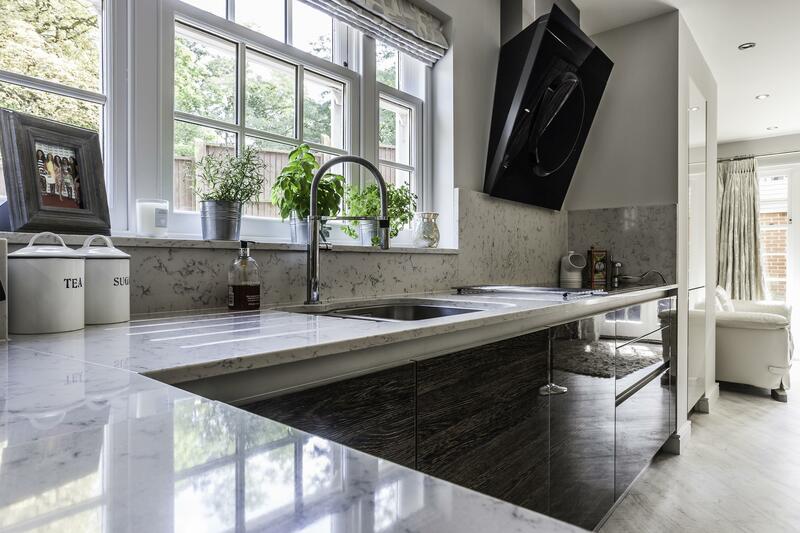 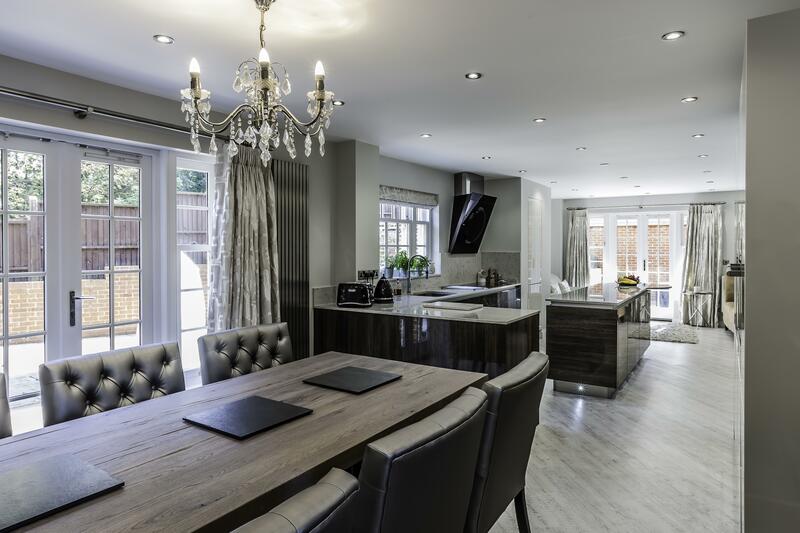 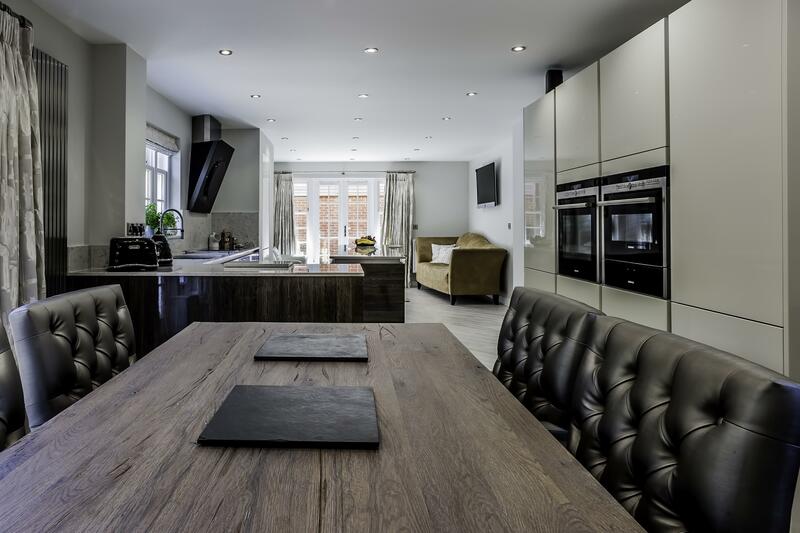 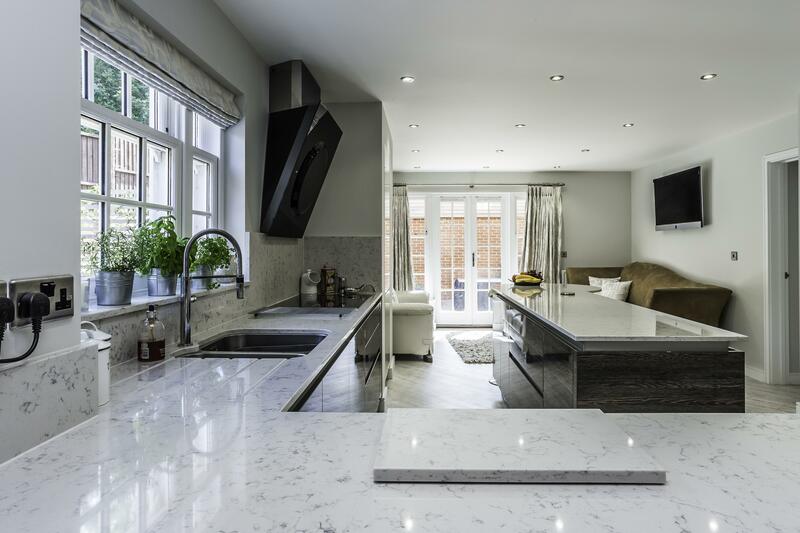 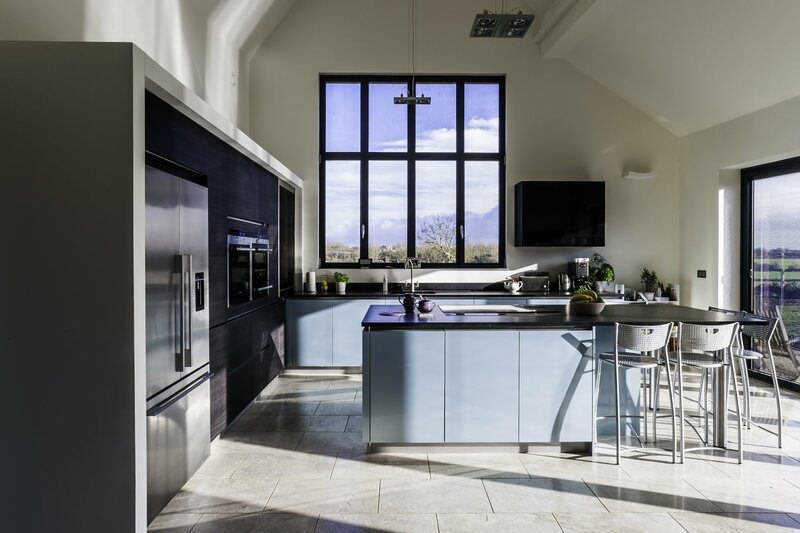 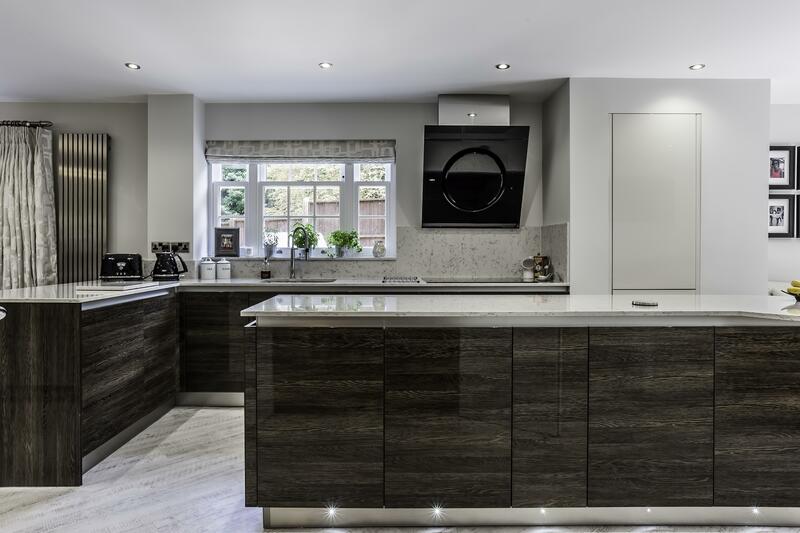 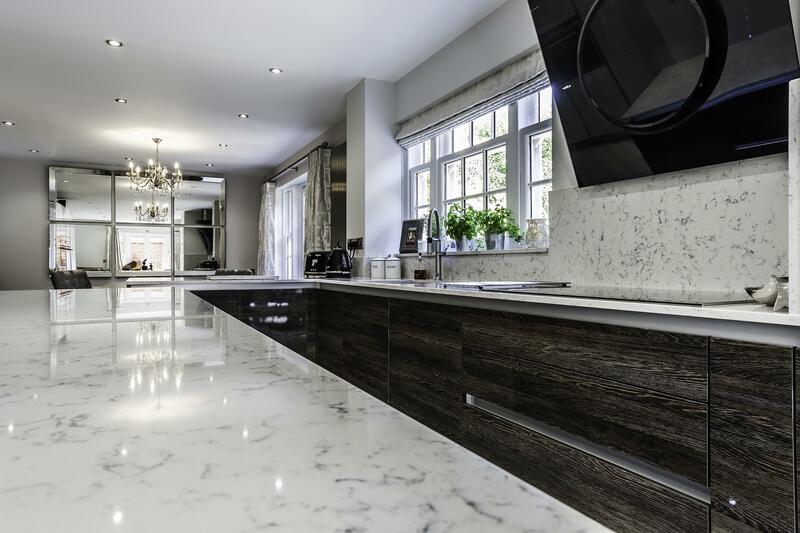 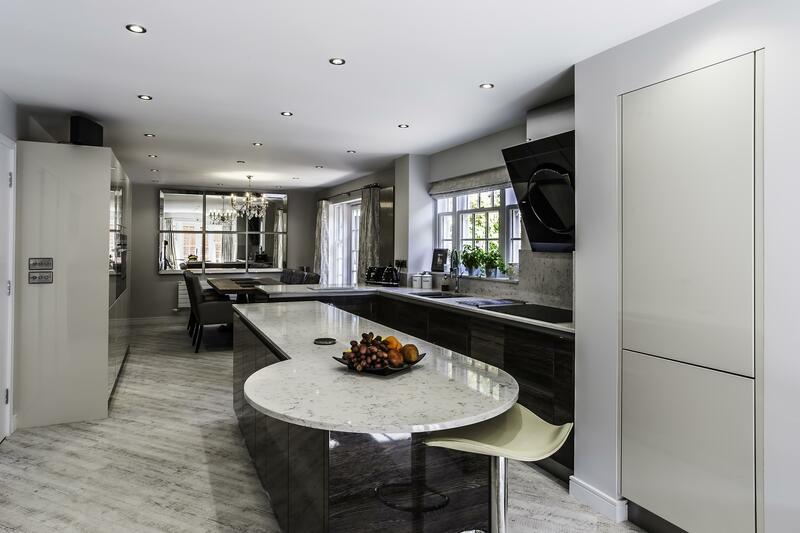 The brief for this design was for the kitchen, dining and living area to be incorporated into an open plan space and flow seamlessly from one to the other. 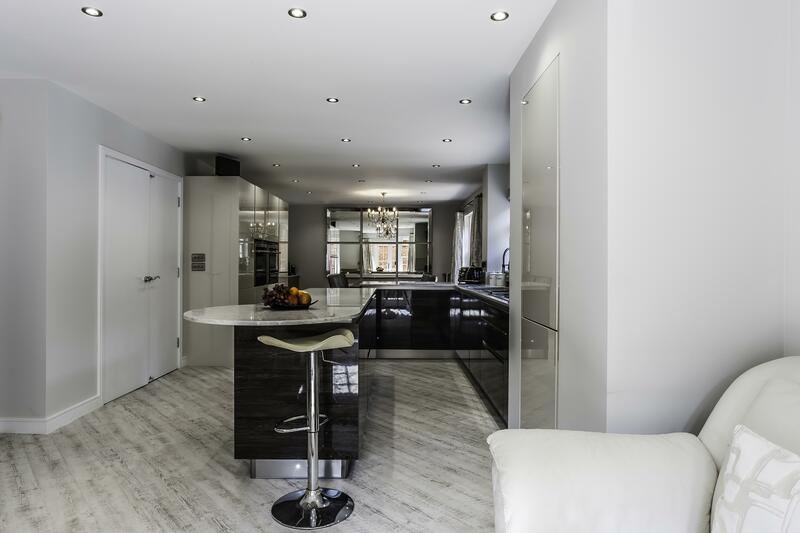 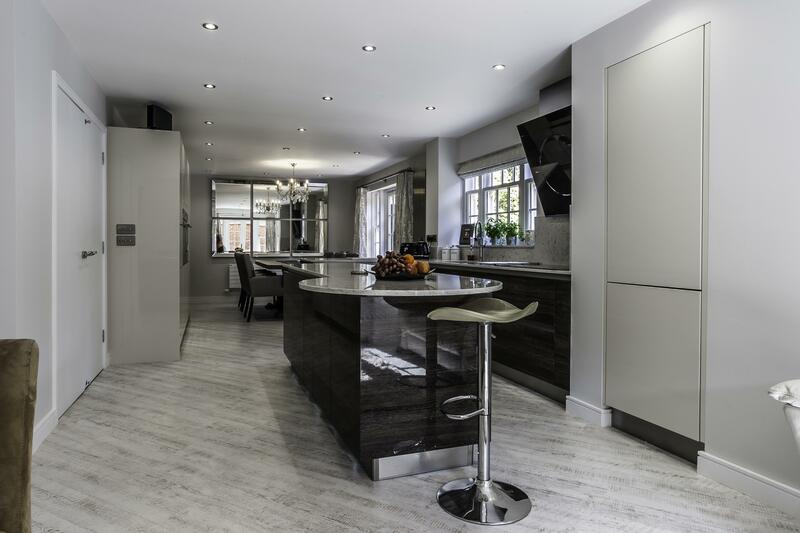 The mix of dark gloss wood and off white cabinetry creates rich tones, for a truly luxurious feel. 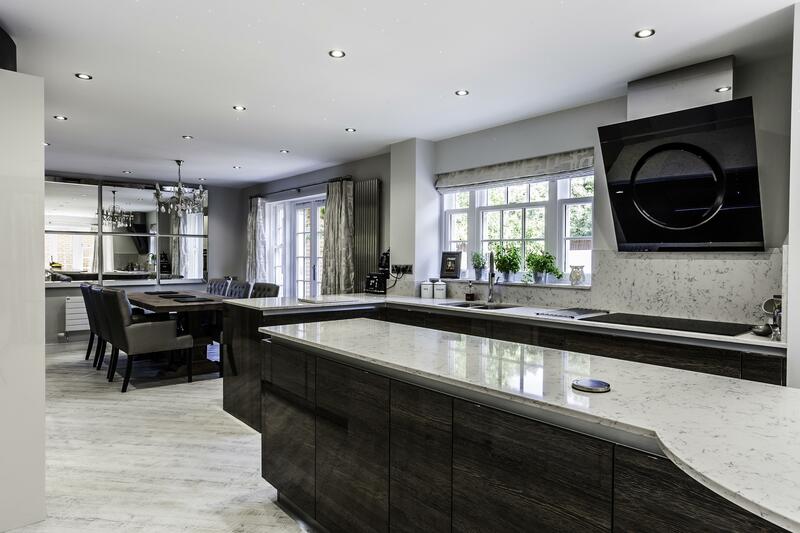 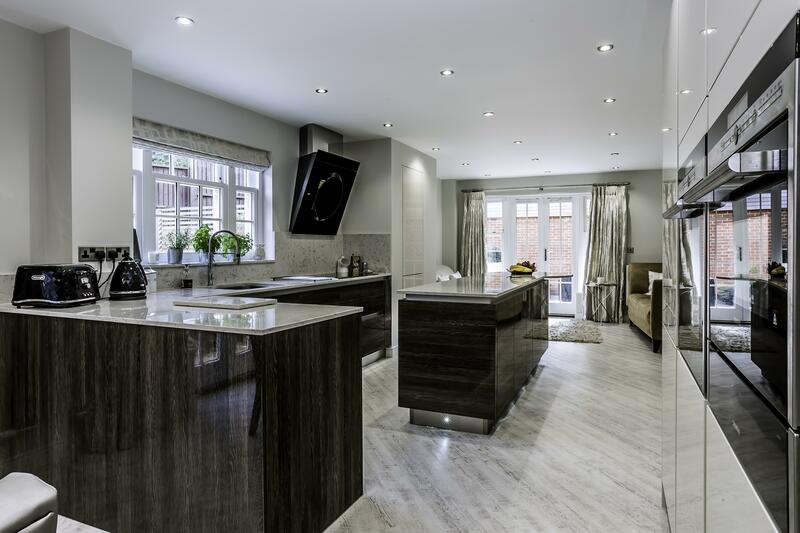 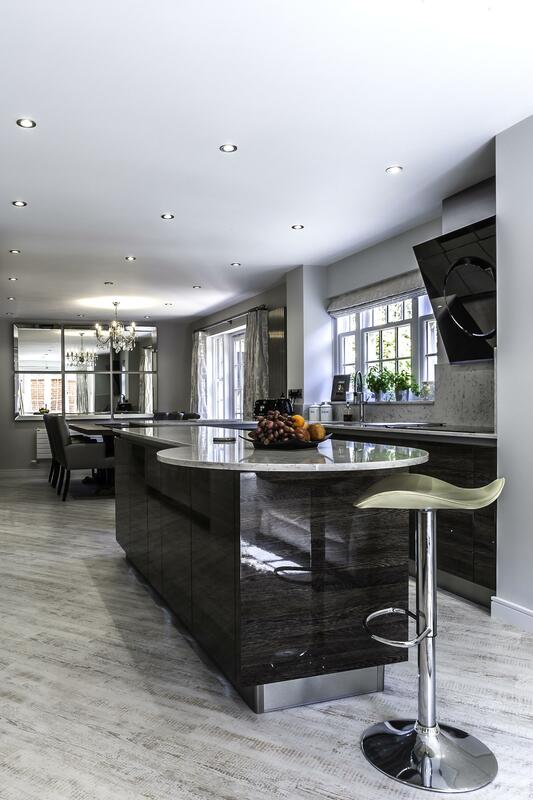 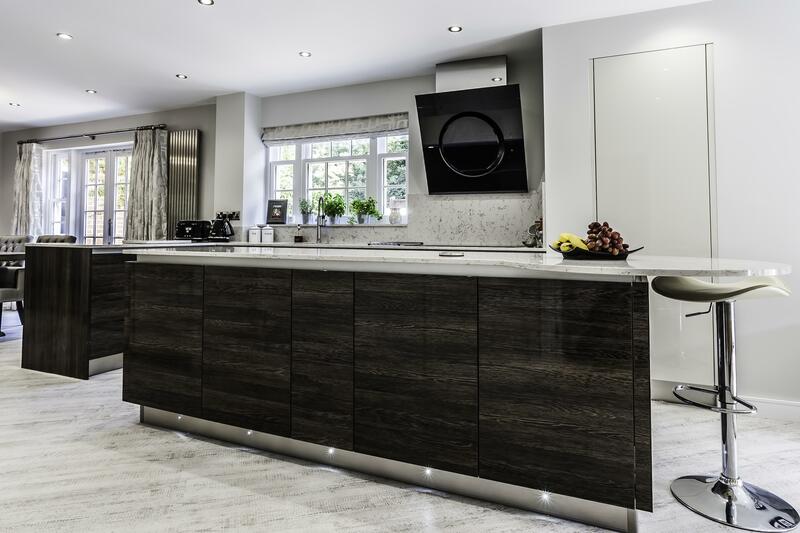 The units are a mix of handleless ‘Gloss Pergamon’ and ‘Gloss Mali Wenge’, both of which are a lacquered finish. 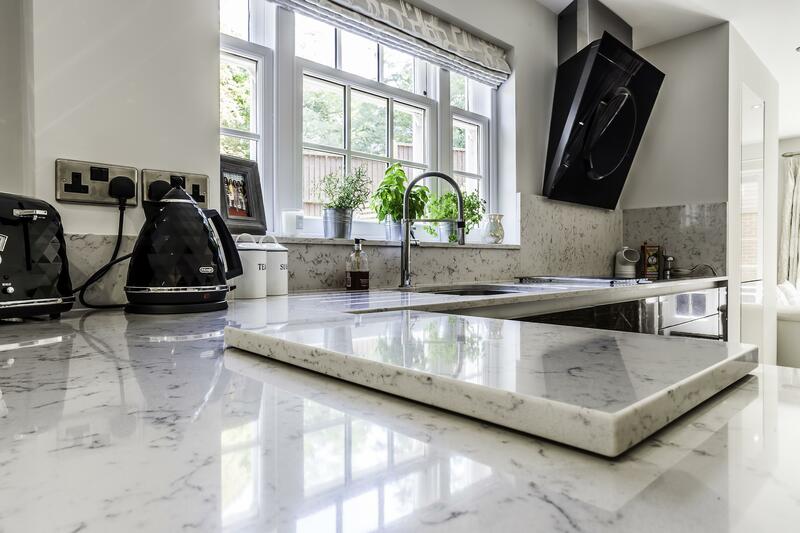 Quartz worktops in ‘Lyra’ adds a subtle contrast to the units and brightens the kitchen space. 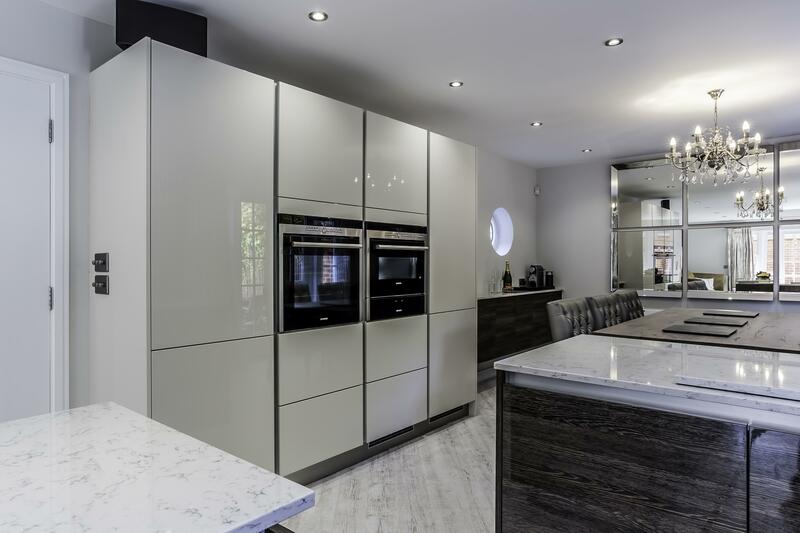 A run of tall units houses a separate fridge and freezer, single oven and combination microwave with a warming drawer underneath, perfect for family dinners and entertaining. 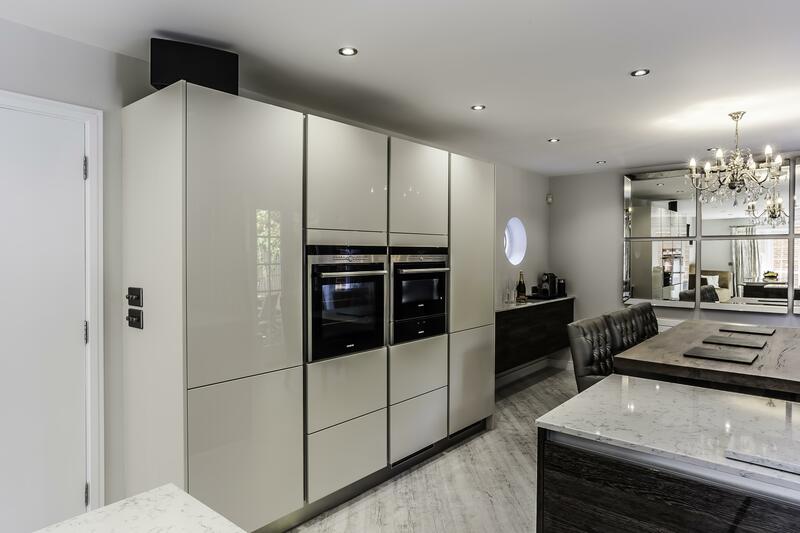 To tie in with the kitchen we also designed a simple floating side unit in the dining space to be used as a drinks area.